Crossover / Multiple TV Shows Unrelated to TV ShowNo TV Show Episode NovalizationEpisode Nov. Film NovalizationFilm Nov. 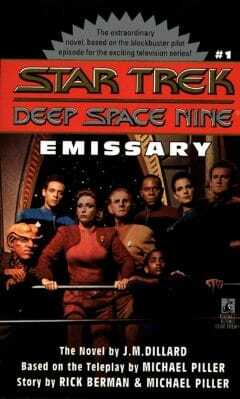 Commander Benjamin Sisko is just recovering from the death of his wife when he is assigned command over the former Cardassian, but new Federation space station, Deep Space Nine. 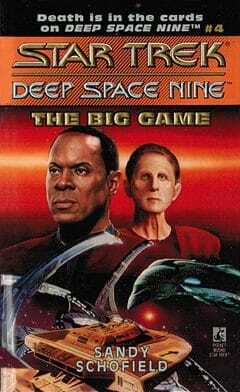 Deep Space Nine is forced to curtail entry to the wormhole due to increased graviton emission. This anxiety leads to the murder of an Edeman religious leader. 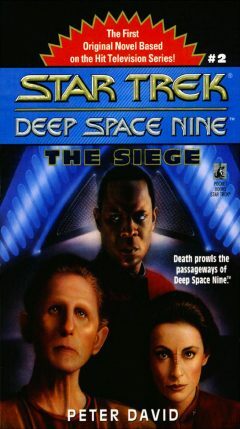 Soon Sisko and Odo have more lifeless bodies on their hands and a killer who strikes without motive. Before Major Kira can deliver a new Federation station on the other side of the wormhole, a fanatic from her violent past appears. Kira must engage in a life and death struggle with an enemy who will stop at nothing to destroy her. A player is killed during Quark's poker tournament. 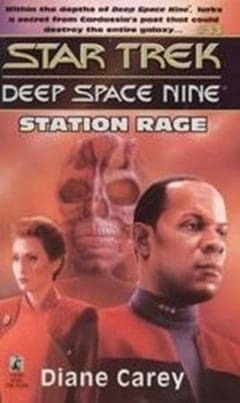 When the station is rocked by subspace waves that threaten its destruction, Commander Sisko and Security Chief Odo must hunt down the killer in time to save the players. 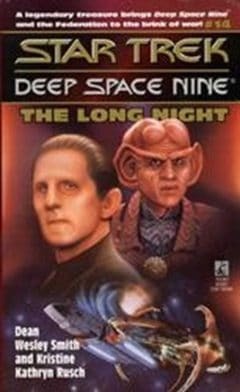 A troop of alien warriors demands the return of an imprisoned comrade, a prisoner no one on Deep Space Nine knows anything about. Meanwhile, a strange device from the Gamma Quadrant has shifted Quark and Odo three days into the future. Ambassadors from all over the Federation have assembled on Deep Space Nine for a conference that will determine the future of the planet Bajor. 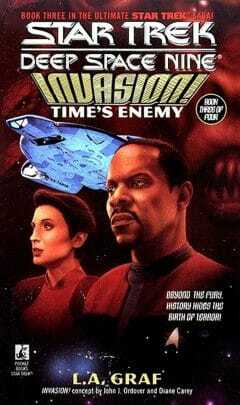 Terrorists begin a bombing campaign on the station and Sisko's job becomes nearly impossible. A message left behind by the Kai Opaka givesSisko a fateful mission: find a young Bajoran girl destined to bring together the warring factions of Bajor. 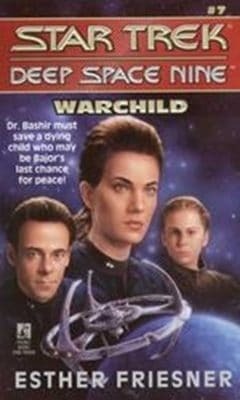 While Dax tries to find the healer, Bashir goes planetside to treat a rare disease. 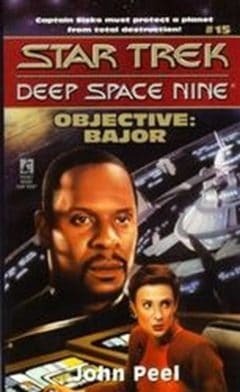 At the edge of the wormhole, Deep Space Nine and Bajor sit on what will be the front line in any Dominion attack. 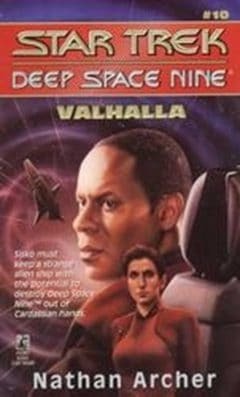 To try and prevent the conflict, Benjamin Sisko and his crew take a never-tested Federation warship through the wormhole to track down and confront the Dominion. 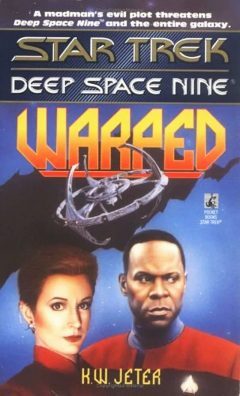 Overseeing a starship building project that could help Bajor's unstable economy, Commander Sisko is alarmed when the shipment of a major component is hijacked and taken through the wormhole, and plans a desperate recovery mission. 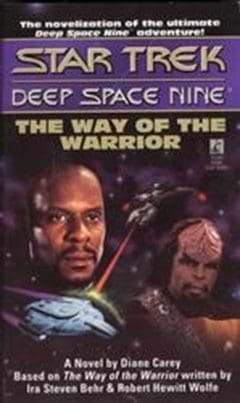 When a mysterious cloaked ship begins raiding wormhole shipping, cleaning out holds and killing entire crews, Sisko must act to stop the menace. 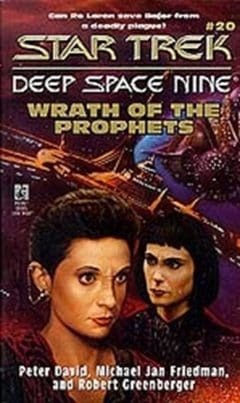 As political tensions rise on Bajor, Odo probes a series of murders aboard the station, while Commander Sisko struggles to cope with a new religious faction out to seize control of Bajor and to force the Federation out of the region. 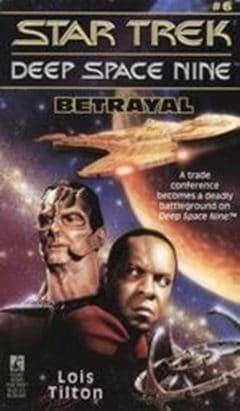 Rumors about a Cardassian plan to reoccupy Bajor are complicated by the arrival of a mysterious alien ship that contains valuable Gamma-quadrant technology, and Commander Sisko must fight to keep the ship out of the wrong hands. The Hortas of Janus V1 are the greatest miners in the galaxy, capable of burning through solid rock the way humanoids move through air. Recruited to help rebuild Bajor's devastated mining industry, the Hortas could provide new hope for the planet's struggling economy. 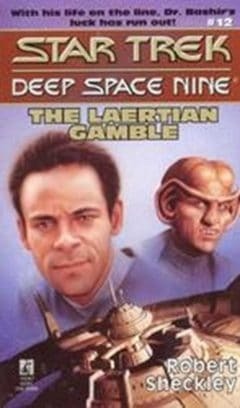 Participating in an unusual game as a means of gaining an attractive alien's attention, Dr. Bashir is horrified when each of his plays set off a disaster somewhere in the Federation and the alien culture will not let him stop. 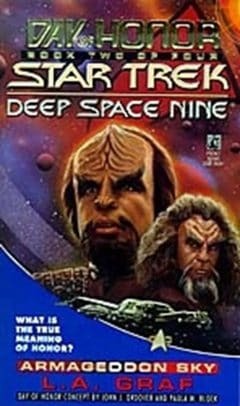 The entire Alpha Quadrant has been threatened with deadly infiltration by the shape-shifting Founders of the Dominion and a massive fleet of Klingon warships has arrived at DS9 on a secret mission. 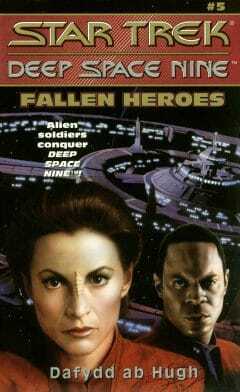 A tomb of Cardassian soldiers is discovered on Deep Space Nine. While Sisko searches for a diplomatic way to return the soldiers to Cardassia, the "bodies" begin to pulsate with life, determined to seek revenge on the enemies now occupying the former Cardassian stronghold. Centuries ago, the Supreme Ruler of the planet Jibet fled a democratic uprising, taking with him many priceless works of art. 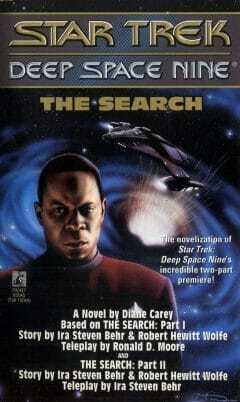 Now Quark's greed leads Commander Sisko and his crew to the lost treasures and to the Supreme Ruler himself. The Hive came from another galaxy: billions of alien beings living inside a vast, biological starship. Now the Hive is heading for Bajor and they have given the planet's inhabitants an ominous warning: evacuate in three days or die along with their world. The Federation is threatened by an ancient mystery when a battered and broken version of the Defiant is found, frozen for five thousand years. Only the wormhole holds the answer and the future of the Federation itself may depend on the secrets it conceals. 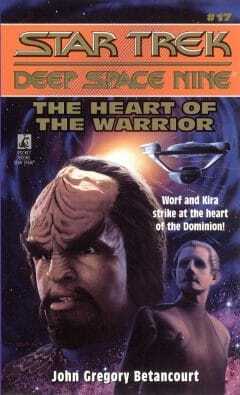 Kira and Worf embark on a dangerous undercover mission deep into the heart of the Gamma Quadrant to find the secret of the addictive substance that the Changelings use to control their Jem'Hadar warriors. En route to a ceremony for the new U.S.S. 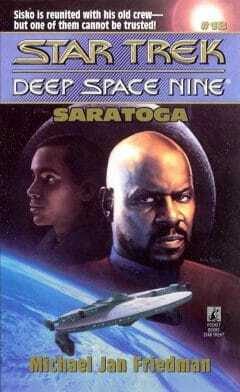 Saratoga, Captain Sisko and his reunited crew are sucked into a destructive energy wave that leaves them only hours to live. 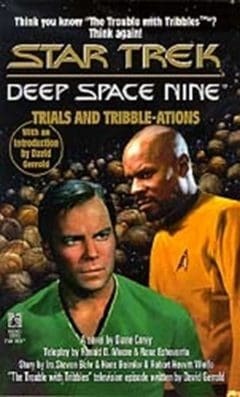 Almost a century ago, Captain Kirk first encountered the Tribbles, resulting in one of the most unususal adventures in the annals of Starfleet. Captain Sisko and the crew of the Defiant are transported back in time to that historic occasion. 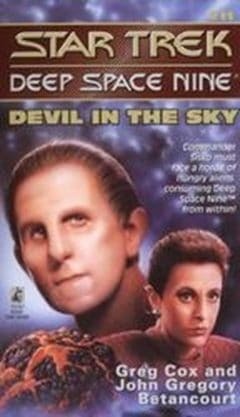 Investigating a ferocious plasma storm, Lieutenant Dax, accompanied by botanist Keiko O'Brien, flies a runabout into its heart and encounters a strange new form of life. 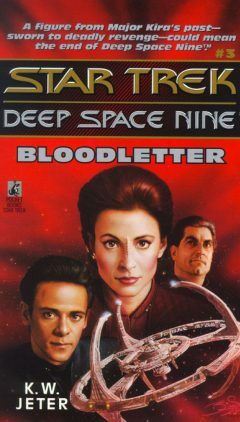 When Bajor is threatened with extinction by a terrible disease, Captain Sisko accepts help from Ro Laren, a Starfleet officer turned Maquis renegade, who teams up with a reluctant Kira in a quest to track the plague to its source. 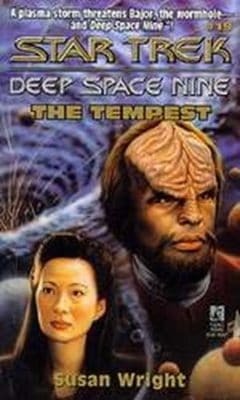 Dispatched on a secret mission to investigate the raids, Commander Worf of Deep Space Nine and the crew of the Defiant find themselves trapped on a an alien world threatened by global cataclysm - trapped along with Klingons who were exiled to this world for their loyalty to Worf's dishonored family.